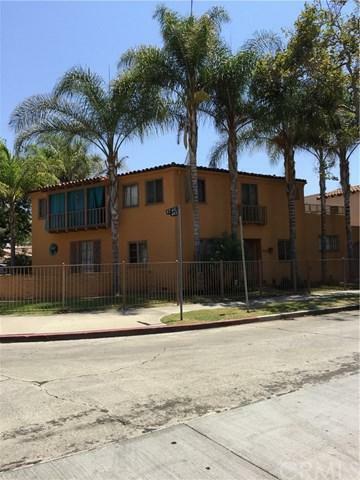 Situated on a large corner lot in the highly sought after area of Leimert Park in Los Angeles. This amazing rare duplex features two large townhome style units with a courtyard and in ground spa. The main unit has 3 bedrooms, 2.5 baths and is approximately 2014 sq ft. The second unit has 2 bedrooms, 2 baths and is approximately 1700 sq ft. Each unit features an upstairs and downstairs, large living room, formal dining room, laudry room private roof top terrace, private garage and more. Minutes to LAX, New NFL Stadium, USC and Downtown Los Angeles via the new Metro rail (coming soon).Great investment opportunity, needs TLC. Property is being sold "AS IS" with no repairs.